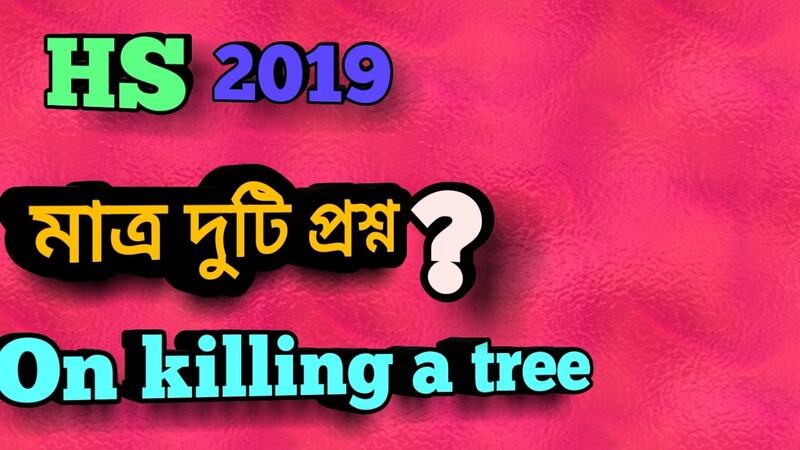 Ans : 'on killing a tree' is a satirical poem that expresses the poet's anger against the deliberate and cold blooded killing of a tree by man. He narrates ironically how man's effort to kill a tree by jabbing it or even by hacking and chopping it mercilessly fails totally. He then narrates the ruthless Precision with which man kills a tree by uprooting it and exposing its tender roots to the harsh sun and Air for scorching and hardening. The title '' on killing a tree'' conforms to this ironical spirit of the poem as the readers get the unexpected shock of confronting something that reads like a manual or recipe for giving. 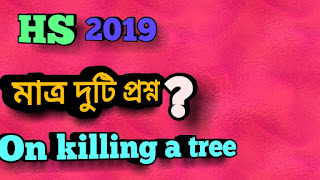 Ans : the poem 'on killing a tree' is a satirical poem, at man's violence and cruelty in killing a tree. The poet has described in detail how a tree having superior life force can resist on slot and withstand pain and damage. In the second part of the poem the poet has narrated the deliberate and cold blooded method of violence that a man undertakes in forcibly exposing the soft core of trees strength and mercilessly kills it by scorching and choking in air and sunlight. Ans : according to the poet, a tree can not be killed by the simple jab of a knife or by hacking or chopping it. For killing a tree, its root is pulled out from its secured shelter inside the earth after tying it with a rope. Once it is uprooted the root is left in the open for scorching and choking in the sunlight and air. After its exposure, the root turns brown, hard , misshappen and totally dried up. Then it is assured that the tree has been finally killed.